Pault Vaults is an independent cafe and coffee shop in London, Hackney. 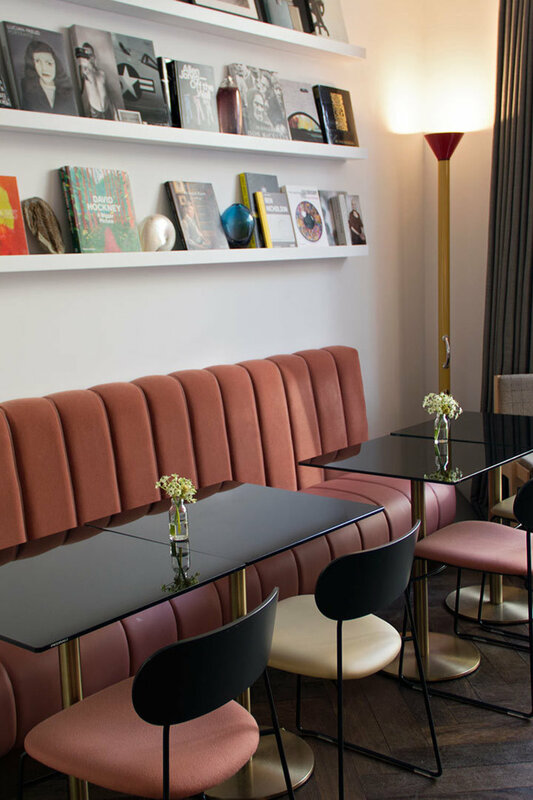 We love the fact that the cafe oozes this cool 70’s vibes, with colour palette of soft pink and green. Even thought the interior design is amazing wait until you get your hands on their beetroot latte! Don’t forget to instagram that too! The Laslett is actually part of a Hotel located in the stylist area of Notting Hill. The Hotel is a synthesis of minimal chicness. Other then its dazzling interior design its food is meant to be just as gorgeous. Clerkenwell Grind forms part os the Grind & Co, a group of coffee shops, bars and restaurants in London. Just 10 minutes from Old Street Station, Clerkenwell is snuggly situated in old street. With deep royal blues and blush sofa’s this place is your must stop for a late night post work drinks. Other then the fact that this is a Tom Dixon designed interior. Bronte London is a restaurant and bar in the heart of London. First thing you will notice is the posh pink decor, and shades of cream, candy floss pink and rose gold. Don’t worry the food is just as beautiful as the interior!